“Well here’s another fine mess you’ve gotten us into”. Actually, this is a misquote. The correct quote is: “Well, here’s another nice mess you’ve gotten me into”. Either will do right now seeing the chaos being displayed in the House of Commons of late. The uncertainty is arguably the biggest concern. Reports of property values falling or about to fall are a touch misleading, however. Today the Royal Institution of Chartered Surveyors report that a net balance of 28% of RICS members expect a fall in house prices some as much as 20% over the coming months but, that the market should stabalise in around 12 months “as the fog lifts”. This is on the back of speculation in the press recently that a 30% fall may be experienced. Such speculation is not helpful and, of course, “net balance” means that some members are reporting no real change, and in some instances, a continuing rise. As with residential values so it is with other sectors including industrial, commercial and retail property. You can be forgiven to think that all property values are falling but that is just not the case. It has never been more important, therefore, to receive good local and professionally qualified advice in whichever sector of the market you expect to participate in. Whilst the country remains pre-occupied with Brexit, changes in local conditions can have more effect that national or international factors and knowing how those apply are critical if good decisions are to be made by companies and individuals. In the meantime, in the words of the chairman of a significant building company with interests throughout the UK when asked by me the other day how he was, his response was “sick”. Not poorly but just sick; sick and tired with so many decisions being put on hold pending the return of some certainty; any certainty so deferred plans can be put back into play. All companies live with uncertainty, it is a part of business being able to adapt to change and survive. 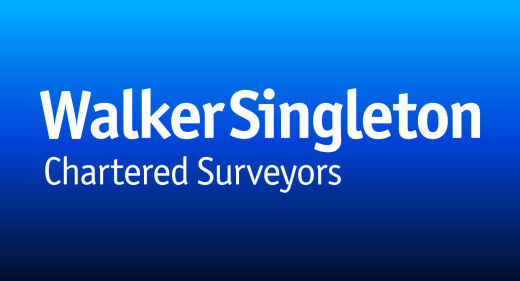 Commercial surveyors like ourselves and builders are at the sharp end of uncertainty. We see the decisions being deferred. Transactions which record the growth of companies and how well an area is doing are generally down but, hopefully the headlines will report differently once some of the Brexit uncertainty is resolved.